The best fridges for keeping your food fresh. A fridge’s temperature performance is important for both keeping your food fresh, as well as saving on energy costs. We’ve tested fridges for temperature fluctuations, uniformity between the fridge and freezer, and much more. Find the best model to fit your kitchen and learn what to look for in a new fridge. Snapshot: The Samsung Barosa SRL458ELS is a large bottom-mounted fridge-freezer with a total capacity of 458L. How well does it perform? Snapshot: The Beko BBM407PX is a medium-sized bottom-mounted fridge-freezer with a total capacity of 407L. How well does it perform? Snapshot: The Fisher and Paykel E373RW1 is a small fridge with a total capacity of 373L. How well does it perform? Snapshot: The Electrolux EBE4507SA is a large bottom-mounted fridge-freezer with a total capacity of 453L. How well does it perform? Snapshot: The Electrolux EBE5307SA is a extra-large bottom-mounted fridge-freezer with a total capacity of 529L. How well does it perform? 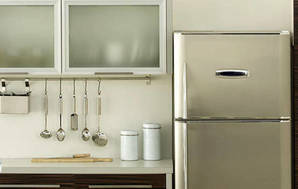 Snapshot: The Electrolux EHE5267SA is a large bottom-mounted fridge-freezer with a total capacity of 524L. How well does it perform? Snapshot: The Electrolux EQE6207SD-NAU is an extra-large bottom-mounted fridge-freezer with a total capacity of 624L and it has a chiller. How well does it perform? Snapshot: The LG GB-310RWL is a small bottom-mounted fridge-freezer with a total capacity of 310L. How well does it perform? Snapshot: The LG GB-450UPLX is a medium bottom-mounted fridge-freezer with a total capacity of 450L. How well does it perform? Snapshot: The LG GF-L613PL is a extra-large fridge-freezer with a total capacity of 613L and it has a chiller. How well does it perform? 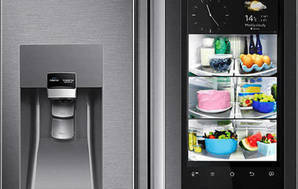 Snapshot: The LG GS-B680PL is a extra-large side-by-side fridge-freezer with a total capacity of 687L. How well does it perform? Snapshot: The LG GS-L668PNL is a extra-large fridge-freezer with a total capacity of 668L. How well does it perform? Snapshot: The LG GT-442SDC is a medium-sized fridge-freezer with a total capacity of 441L. How well does it perform? Snapshot: The Haier HBM450SA1 is a medium-sized bottom-mounted fridge-freezer with a total capacity of 450L and it has a chiller. How well does it perform? Snapshot: The Haier HRF328W2 is a small fridge with a total capacity of 328L. How well does it perform? Size, shape, shelves, drawers ... here's what to look for when choosing a new fridge. In general a bigger fridge will use more power than a smaller one – some smaller models we’ve tested cost half as much to run as some bigger models. A fridge’s “star rating” and annual energy consumption are printed on a label so you can make comparisons in the showroom. All fridges must have the label, but watch for tricks like putting the display card over the label. We recommend looking at these labels, the annual running costs from our test, or the Energy Rating website which has a 10-year running cost calculator. A fridge is always running. While month-to-month you might not notice the impact on your power bill, this cost adds up over the long term. Our analysis shows an extra-large french-door model costs upwards of $5300 including the purchase price and running costs over 10 years — are you still sure you need all that extra space? The fridge is one of the few household appliances that is always running. This means a loud one can become a major annoyance. We trawled through our test data and analysed noise readings for household appliances, including dishwashers, washing machines and vacuum cleaners. Fridges were the quietest, with an average running noise of 33dBA. That’s almost as quiet as a cat purring. Our noise test is conducted while the fridge’s compressor is on and off, but not while it’s defrosting. Measurements are taken a metre away and up from the floor. While our noise measurements are objective (31dBA is 31dBA), how people perceive noise is subjective. This is why we don’t consider noise when scoring fridges. Our members often ask why our noise readings don’t match those stated by the manufacturer. The answer is they were measured in different conditions. When we test noise, we want our results to be directly comparable. This means all models are tested in the same lab and under the same conditions. This won’t be the same as how a manufacturer measures noise. Only compare noise readings of models we have tested. The decibel scale is logarithmic, not linear so a sound difference of 10dBA will sound like double the sound. This means a 30dBA fridge will sound twice as loud as a 20dBA model, while a 40dBA fridge will sound four times louder. Most people will only notice a difference of 5dBA or greater, so two fridges with noise readings 3dBA apart will sound about the same. The design and layout of your home also affects how noisy you’ll find a fridge. Sound waves are dispersed by objects, which will muffle the sound. 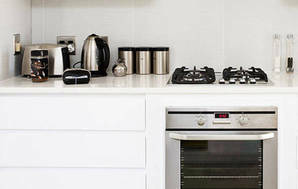 This means open-plan areas do little to minimise a fridge’s noise. A fridge with walls or cabinetry at its back and sides will also be quieter as these help deflect the sound. Cracking/popping: plastic walls and shelves inside the fridge contracting and expanding as temperature changes. Dripping/gurgling: water draining during the defrost cycle. Hissing: refrigerant gas moving through the coils during the compressor cycle. Whirring: some fridges have an external fan that helps keep the compressor cool. Banging: usually found in models with an ice maker as it’s turning on or off. LG is the Top Brand for fridges. The Top Brand award recognises brands that perform consistently well across product testing, reliability and customer satisfaction. We asked our members about their fridges and fridge-freezers to find out which brand is most reliable. Ever get to the supermarket and struggle remembering what’s in your fridge? Samsung’s Family Hub lets you photograph what’s inside remotely, and much more. Want to know what Consumer recommends? Become a paying member for just $9.95. You'll get access to independent test results for thousands of products, plus our dedicated Consumer Advice Line for help with any consumer issue. New fridges and freezers are more energy efficient – so if you’re buying second hand, newer is better. Stick to well-known brands under 5 years old, as newer models are much more energy efficient. They’re also easier to get parts for if anything needs fixing. Check the lid or door seal is intact, in good condition and the door or lid shuts properly. Make sure the door is hinged on the correct side for your kitchen (or is reversible). Make sure the interior is in good nick and free from funny smells. Only buy if it looks tidy and well cared for. If you buy a fridge from a second-hand dealer and then discover it’s faulty, you're covered by the Consumer Guarantees Act. If you buy privately, you're not. Under the Electricity Act, all electrical appliances for sale must be safe – whether they're new or second-hand, bought privately or from a dealer. Multi-drawers, often between the fridge and freezer, are a separate compartment that regulate humidity like a crisper but has more stable temperatures. Being separate from the main fridge compartment means humidity can be controlled more accurately, slowing the ripening process and keeping produce fresh for longer. Some multi-drawers also have separate temperature controls. This means you can store a wider range of foods or, if it goes low enough, use it as a freezer.